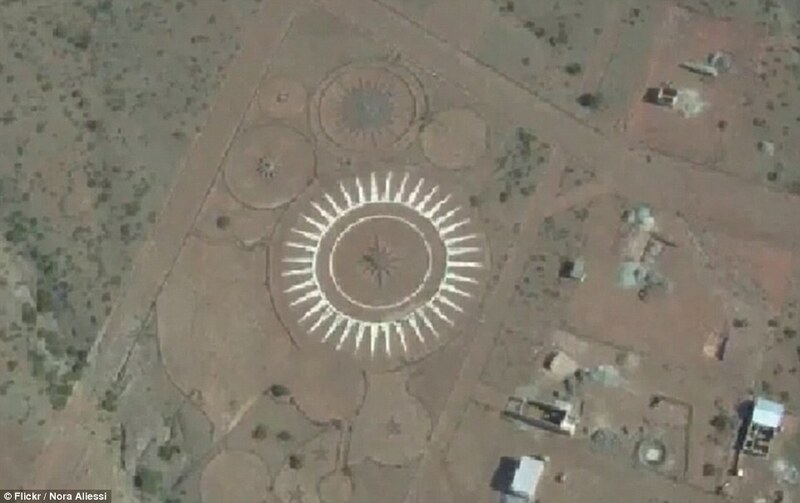 The strange monument UFO landing pad built by a man who claimed aliens told him to construct it. The UFO landing pad has been built in the middle of the Argentinian desert with the collection of white and brown rocks. The man gives the shape of a star, known as an 'ovniport'. 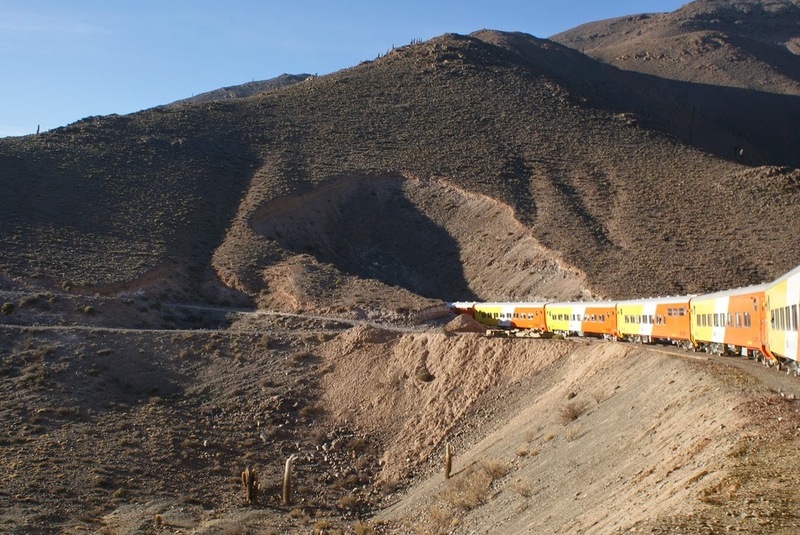 It appeared in the small town of Cachi in the province of Salta. 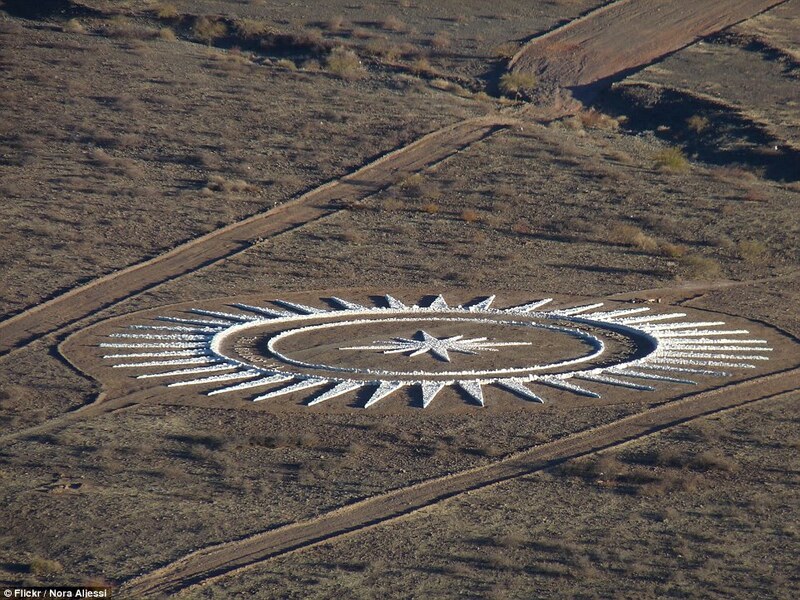 The site is a huge attraction for UFO fanatics who hope to contact aliens. 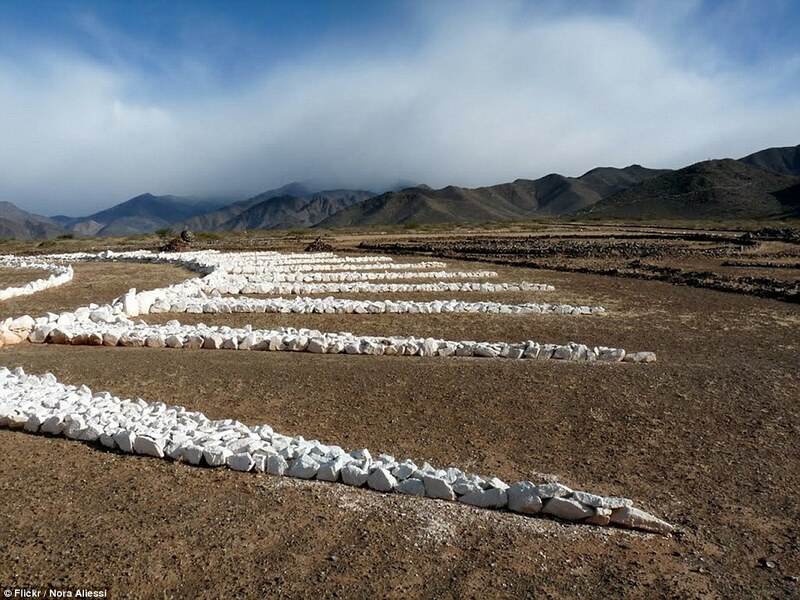 The Swiss man Werner Jaisli travelled to town of Cachi in search of extraterrestrials. After that he have claimed to receive a 'telepathic message' from aliens telling him they required a place to land on earth. They landed about 100 meters above our heads and projected on us a beam of light that made us both see their own brightness. The funny thing is that it did not affect our vision. Something began to bubble through my brain: it was an order. They asked me telepathically to build the airport.' Visitors flock to the site and no wonder, because it's magnificent built. He is thought to have instantly got to work, making a large star in 2008 with 36 points that measures 48 meters in diameter. Jaisli also made a smaller star and it took him till 2012 until his work was done. As a tourist’s point of view, the UFO landing pad is also popular with UFO enthusiasts. 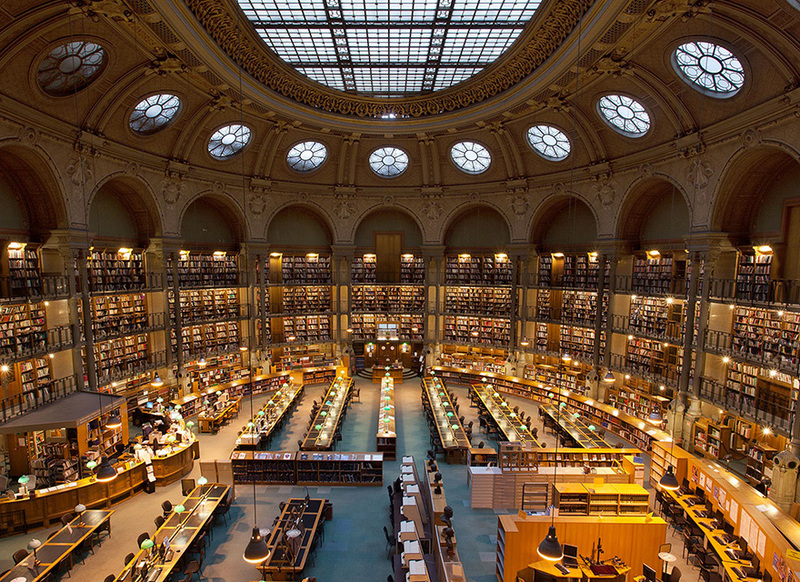 They believe they may be able to contact beings from another world from the site. 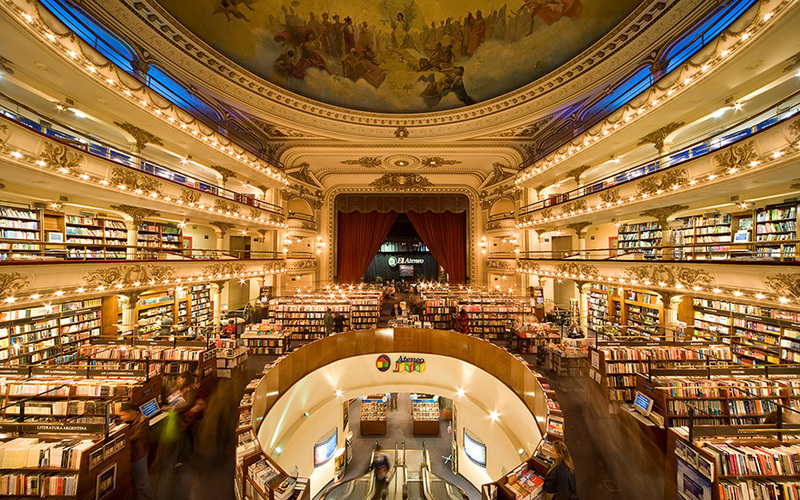 If you’re a book lover, then your next travel destination should be Buenos Aires, Argentina. 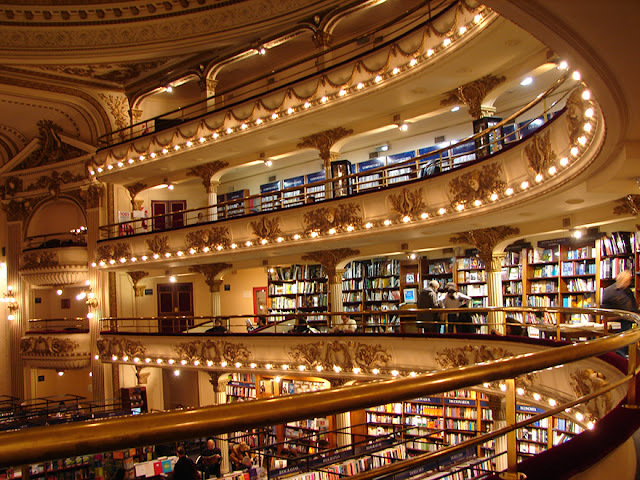 The city has more than 734 bookstores, including second most beautiful bookstore in the world. Almost 100 year old Grand Splendid Theater, opened in 1919 was converted into cinema in 1920’s, but then eventually converted into El Ateneo Grand Splendid bookstore in 2000. The bookshop is tucked away in Barrio Norte, Buenos Aires welcomes more than one million book lovers each year. Architects Pero and Torres Armengol, designed the building, but architect Fernando Manzone converted into bookshop. 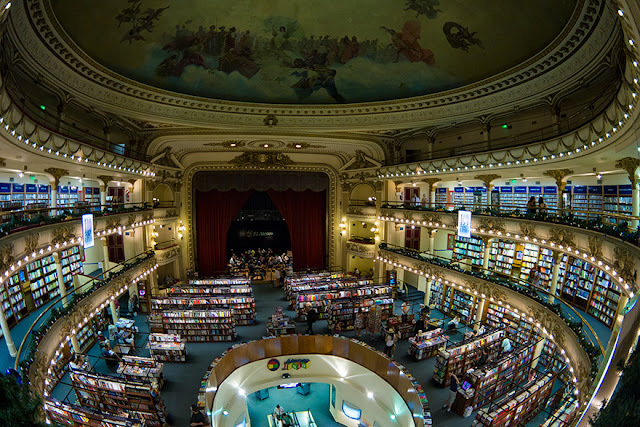 The building retained several parts of the theatre, including the stage and balconies. 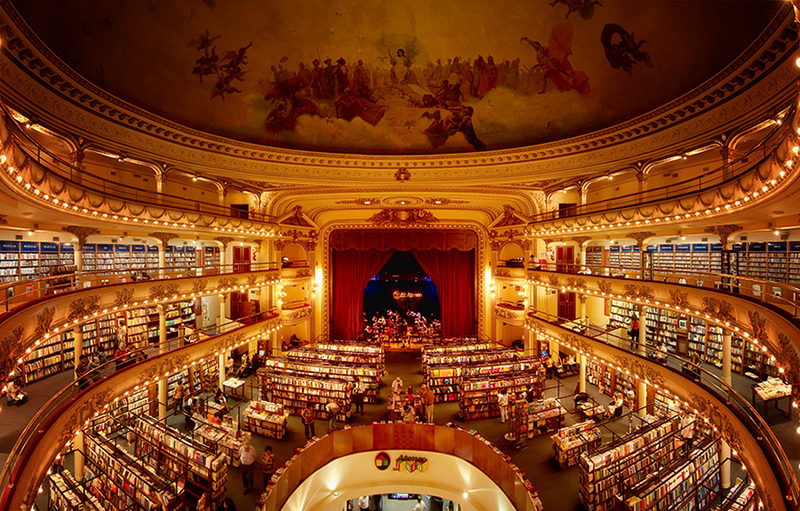 In 2008, the Guardian has named El Ateneo Grand Splendid named second most beautiful bookstore in the world. The elaborated décor and classic 1920’s theater contains stunning red curtains. The book lovers definitely lost in the shelves for many hours, for history and nostalgia lurk behind every corner. Planet Patagonia 4K Time Lapse from HD Nature Video by LoungeV on Vimeo. I took this footage's on a trip to the Iguazû Falls (Argentina and Brazil). This small video can not shows its magnificence. I'd like to encourage all the people should pay a once life time visit to this amazing natural world heritage. It's really a breathtaking scenery. You'd enjoy a lot to see real nature. Gear: Canon 7D with 70-200mm, 50mm and 15-85 lens. Manfrotto tripod and a small badly slider. Iguazù Falls from Erwin Olmos on Vimeo. 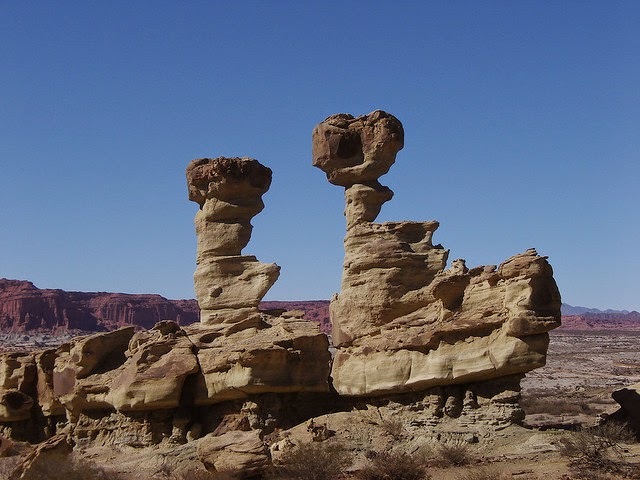 Ischigualasto Provincial Park is located about 300 kilometers away from the capital of San Juan. 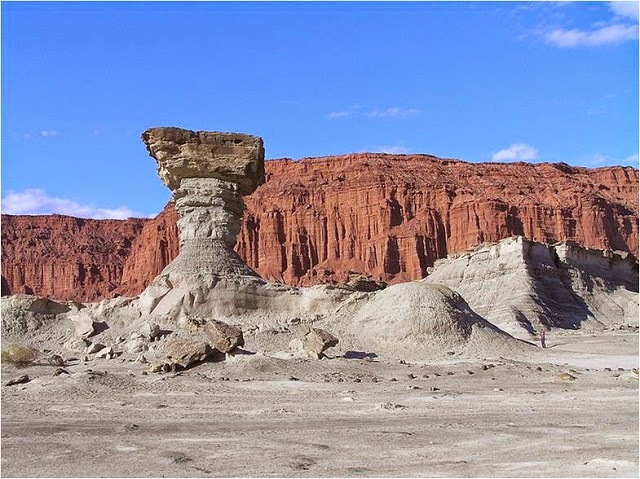 It is better known as Valle de la Luna (Valley of the Moon). 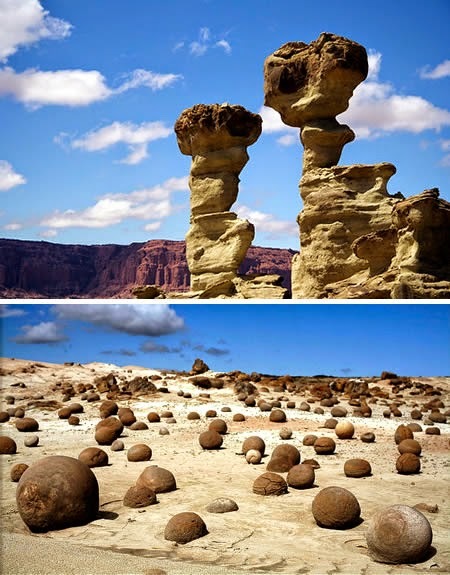 Ischigualasto, meaning “the place where you put the moon” is a remote valley in Argentina. 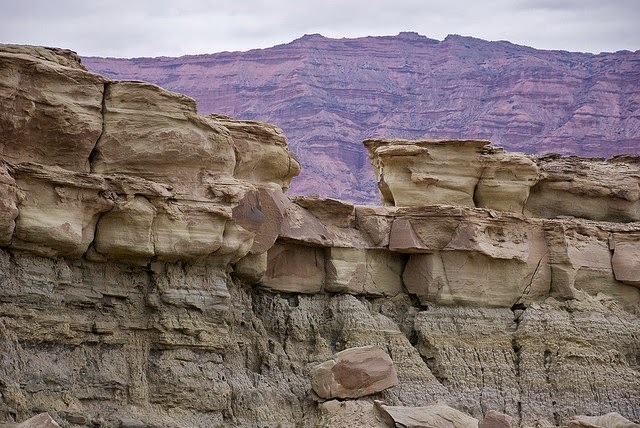 The strange clay formation, with a great variety of hues, shapes and different layers of mineral and sediments, offers a glimpse of the Earth evolution in the Triassic Period. 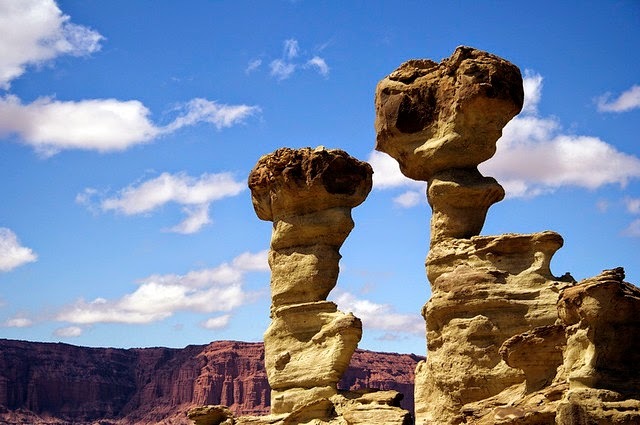 It is studded with geological formations left by wind erosion, remarkable standing stones and boulders that are so rounded just like massive marbles. The valley's which was once-fertile ground is now arid and contains several plant and animal fossils that paleontologists come from all over the world to study them. 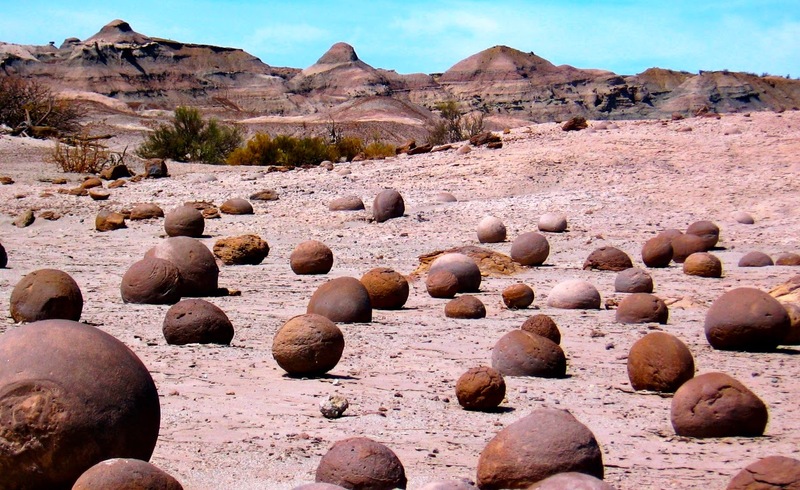 The erosion over the millennia unearths the fossils and other geological formations such as a host of almost spherical concretions. The wind, unstoppable and patient, has pounded the local bedrock for an age. 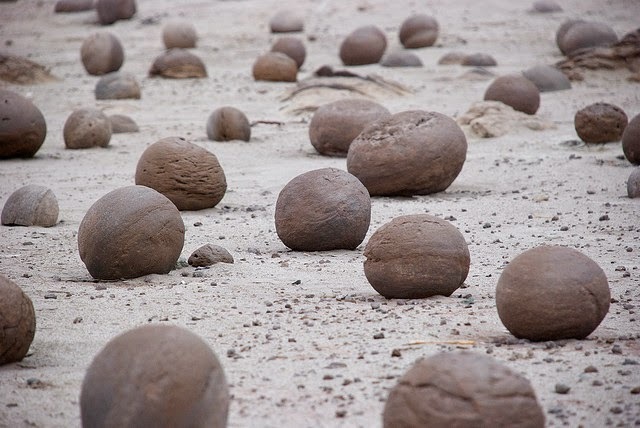 It is revealed, the boulders that mudstone in its original wet form, helped to form look as if giants have been playing marbles. It is worth mentioning millions of years later, different movements and collisions of the tectonic plates have revealed those valleys that were covered by thousands of meters of younger rocks. 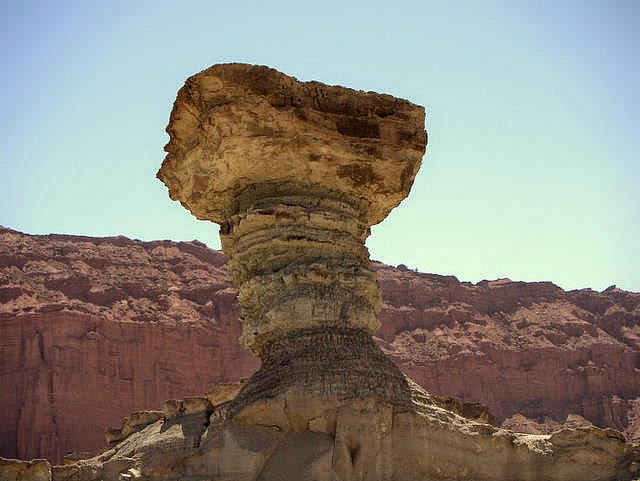 As if a chest were opened, the Ischigualasto basin tells the story of what happened back then on Planet Earth. Fortunately, not everything is gone. Traces of ancestors have been discovered step by step. Traces of vegetable and animal life can be found giving tourists a chance to know and study the origin of life on this planet. The name of the valley as it is known nowadays derives from that expression, because of combination water and wind erosion carved different silhouettes day after day. 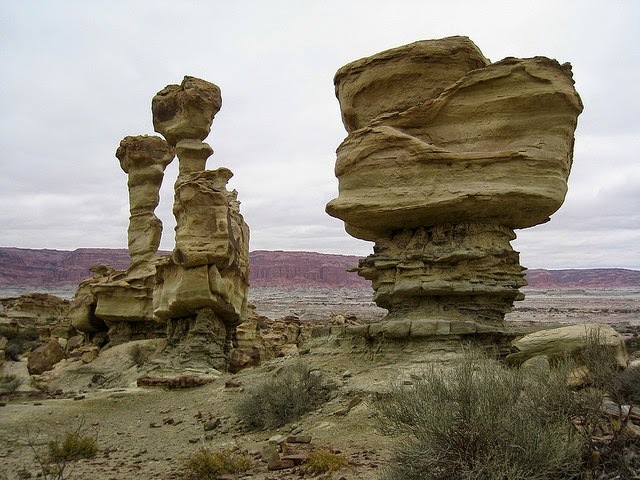 The formations like "The Worm", "Painted Valley", “The Sphinx”, “The Bowling Field”, “The Submarine”, “The Mushroom” and the “Red Ravines” can be found. The landscape is magnificent and spectacular for tourists from all over the world that come to San Juan to enjoy this pre-historic treasure. At night time, when the full moon is glowing, the moonlight turns Ischigualasto even stranger and far more captivating. Wandering about the Painted Valley, observing the capricious forms the Submarine, the Sphinx, the Flags, the Mushroom, and stepping on these dinosaur lands in the silence of the night is an exclusive and memorable experience, not only for the sight but also for the spirit. The inspiring scenery and perfect beauty are inimitable and completely different from other natural areas in Argentina. 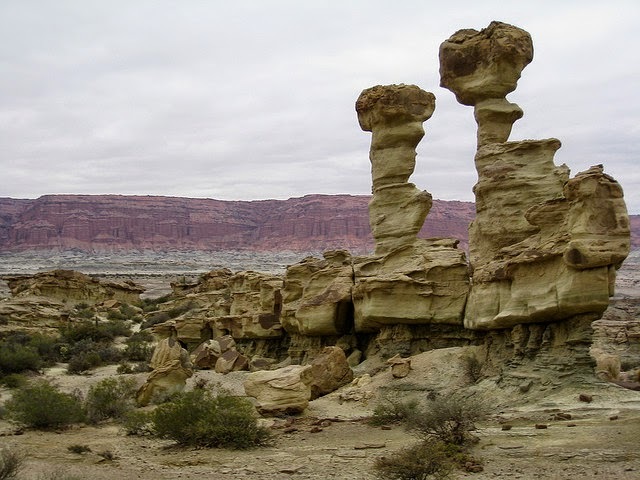 The mushroom, the submarine, the parrot and Alladin's lamp, are names that have been given to the weird and irregular grey-green rock formations found here. 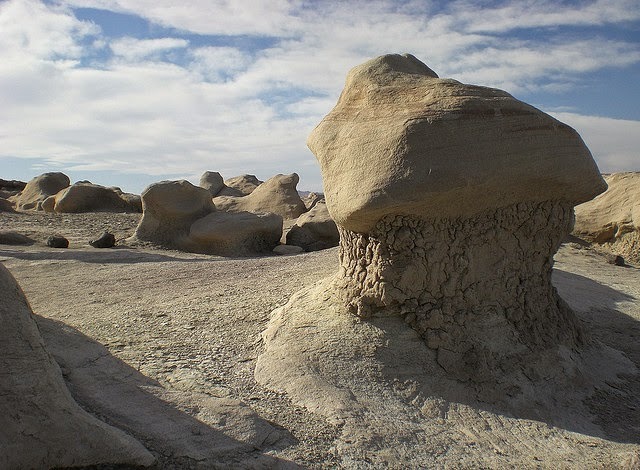 They were formed by the constant action of wind erosion which, like some mad artist, sculpted the bizarre shapes over a period of millions of years. It may be a surprise to discover that dinosaurs are not the most numerous or the largest of animals to be discovered here. Much more common are the fossils of Rhyncosaurs and cynodonts. This has led to speculation that when dinosaurs first appeared on the planet they were not a desperately successful creature to begin with. 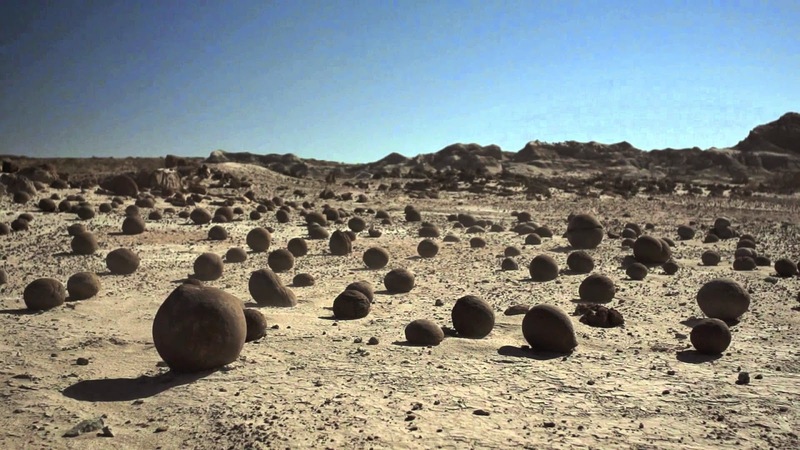 Ischigualasto, moon valley, Argentine from keltoi on Vimeo. 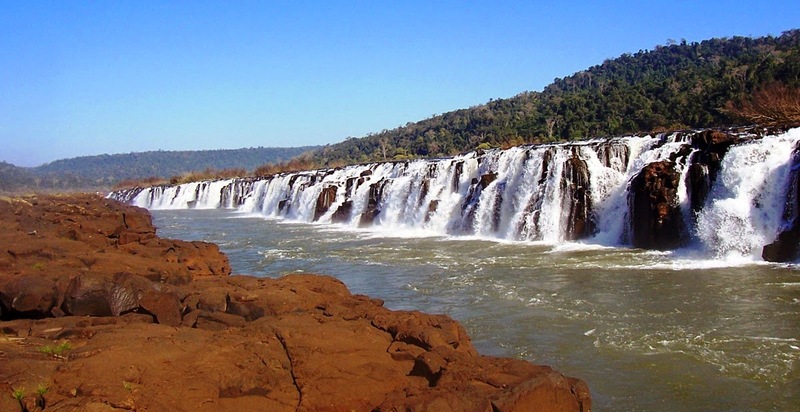 Everyone knows the most popular waterfall in Argentina which is Iguazu Falls. But very few peoples know about Moconá Falls take the crown for the most unique waterfall in Argentina. 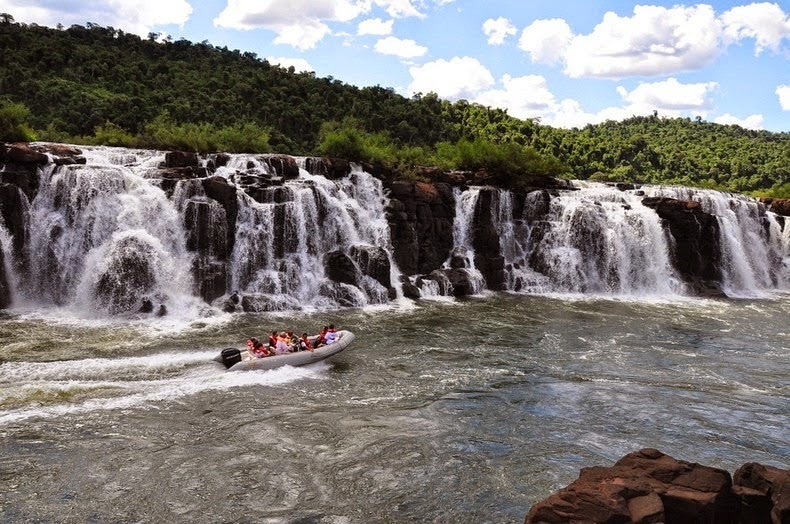 Moconá falls is also recognized as Yucuma Falls, and it is located in the Uruguay River, in the province of Misiones, in Argentina, 337 kilometers from the city of Posadas and 322 kilometers from Iguazu Falls. 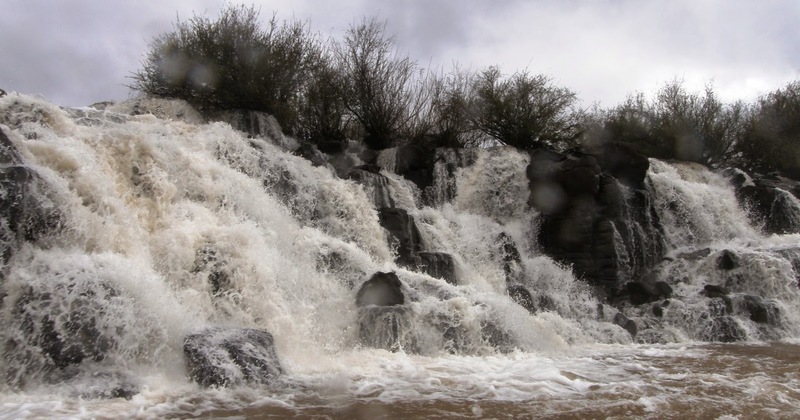 Moconá fall does not follow the normal downward and forward trajectory that most waterfalls do. 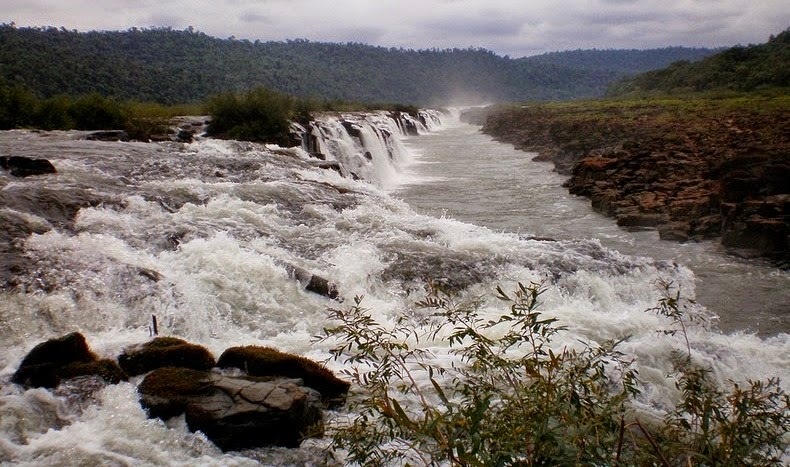 In its place, it runs along the length of the river with water spilling off the side into a gorge. 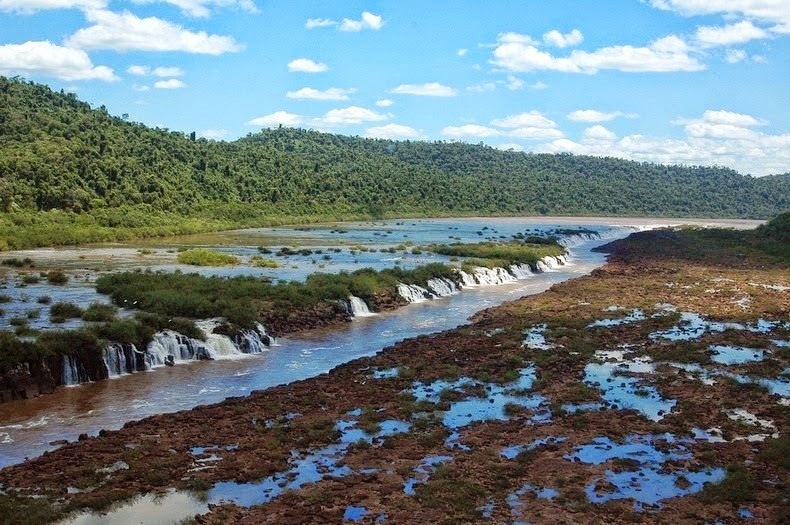 This is about three kilometers long waterfall and probably the only waterfalls in the world to run parallel to the river rather than perpendicular. 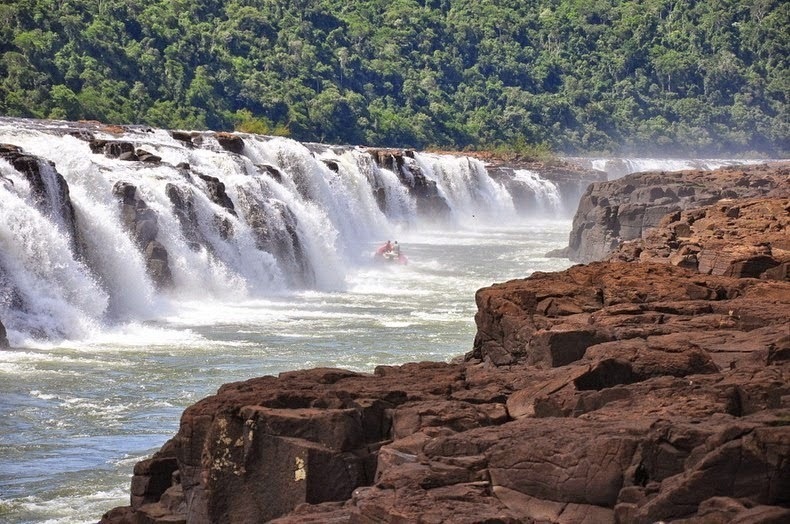 The name Moconá means “To Swallow Everything” in the Guarani language and is used mostly in Argentina. Yucuma means “the big fall” and is popular in Brazil. 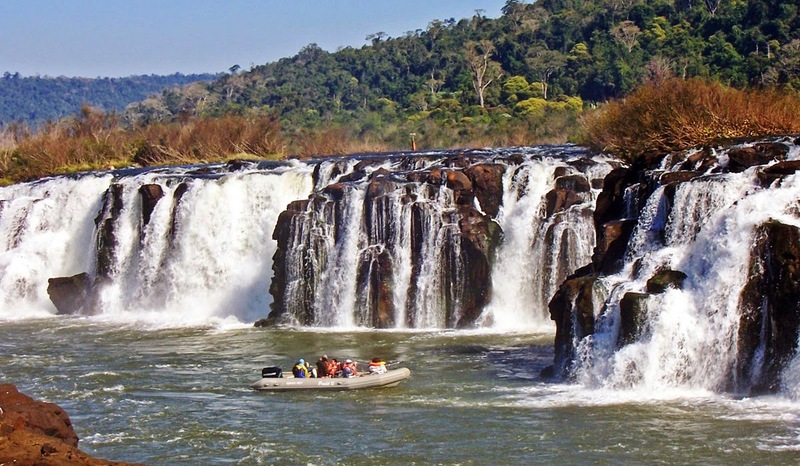 The Uruguay River acts as a natural border between Brazil and Argentina, and this exclusive geological feature is shared by both countries. A strange feature of the Uruguay River is the presence of a submerged canyon or trench at the bottom of the river channel. This is well believed that the canyon have formed during the Ice Age, when the climate was drier and the river was narrower is up to 100 meters deep and 15 to 30% of the width of the river. 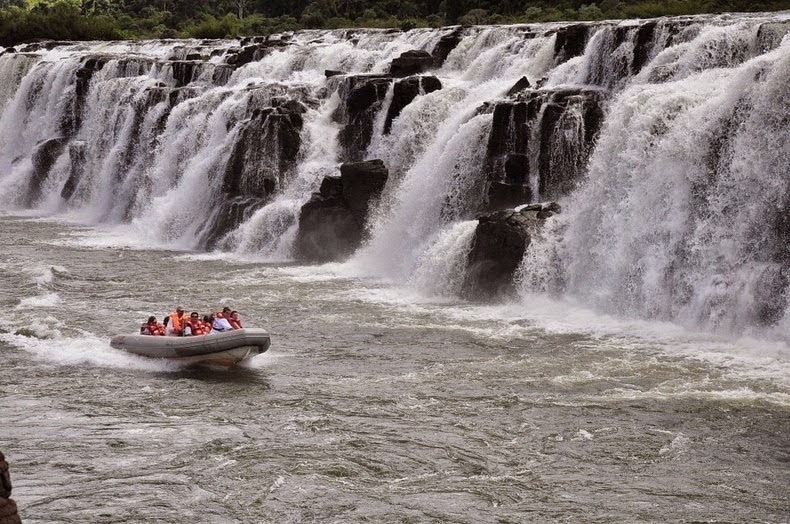 The canyon is only visible in two places, one of which is the Moconá Falls. Normally waterfalls itself is not visible for 150 days a year. 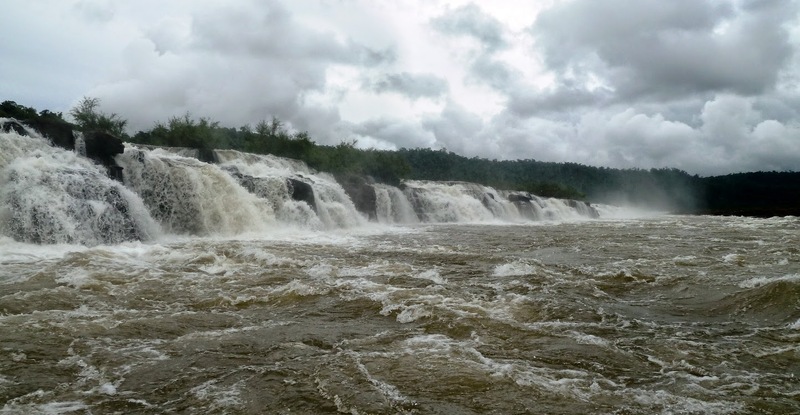 During some time, the falls become more like rapids. When water level becomes low and falls below the edge of the canyon, it begins spilling into the now exposed canyon, and formed in Moconá Falls. 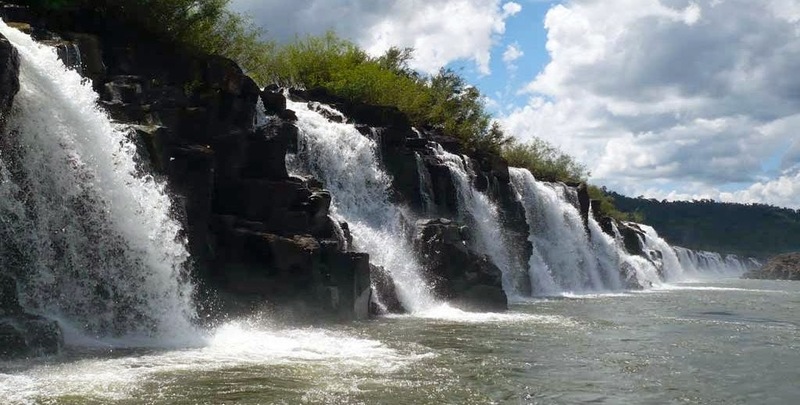 The height of waterfall varies from five to seven meters, mainly depending on the volume of the water dragged by the Uruguay River. Therefore the width of waterfall also varies entirely depends upon volume of water ranging between 1,800 meters and 3,000 meters wide. 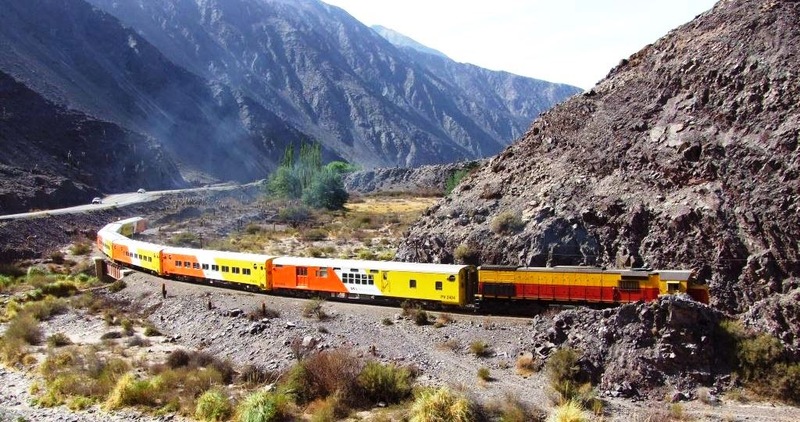 Tren a las Nubes or Trains to Clouds is located 4,000 meters above the sea level in the Andes. 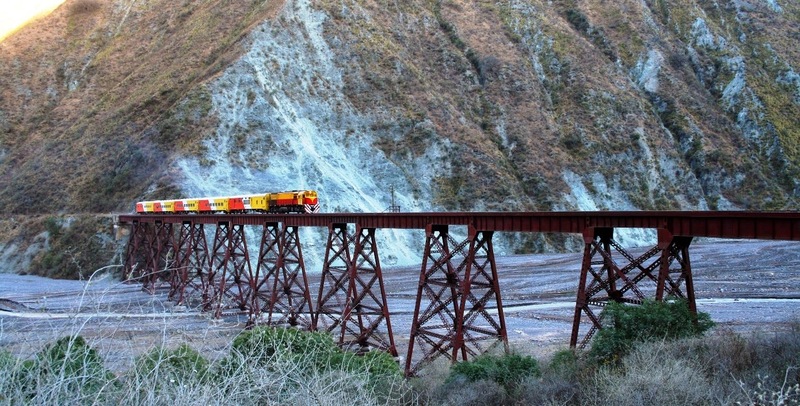 Its name “Train to The Clouds” derives from the several clouds that are often seen under bridges and around slopes. 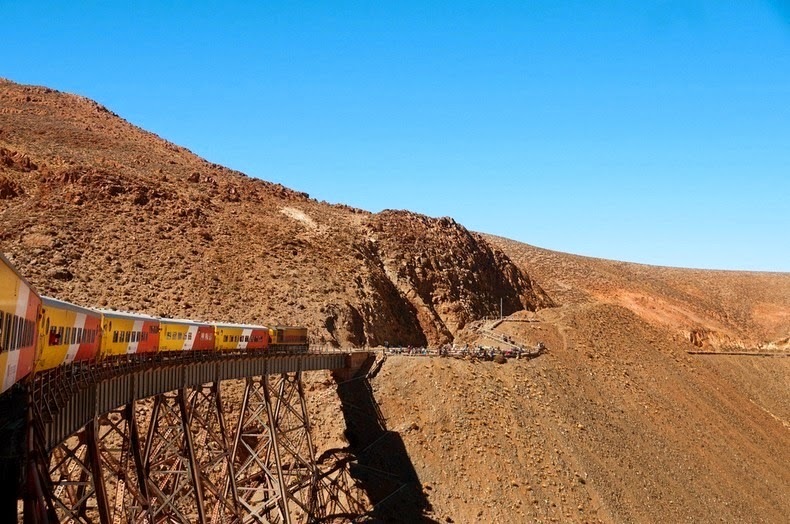 It’s starts its journey from the City of Salta in Argentina, at an altitude of 1187 meters, passes through the Valle de Lerma, which enters the Quebrada del Toro and finally finish his journey at the La Polvorilla viaduct ( Almost 4,200 meters). 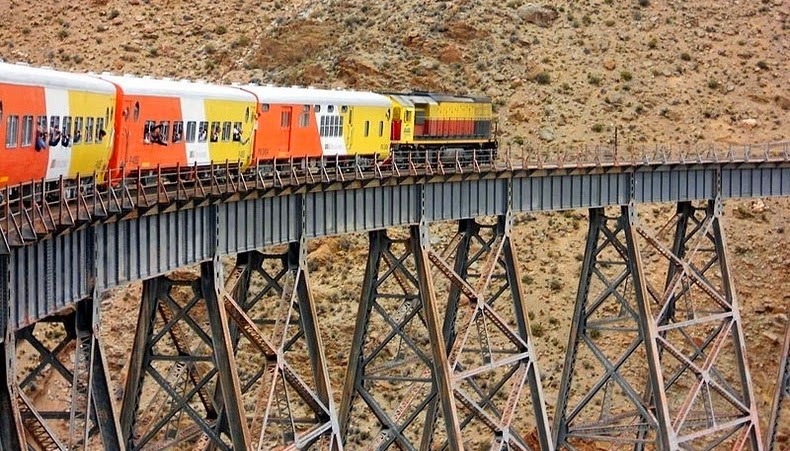 Its official name is Ferrocarril Belgrano and it is reached at highest peak at the final stage of La Polvorilla Viaduct bridge that is 70 m over a river bank, a little after the stop at the charming town of San Antonio de los Cobres, where time seems to have stopped. 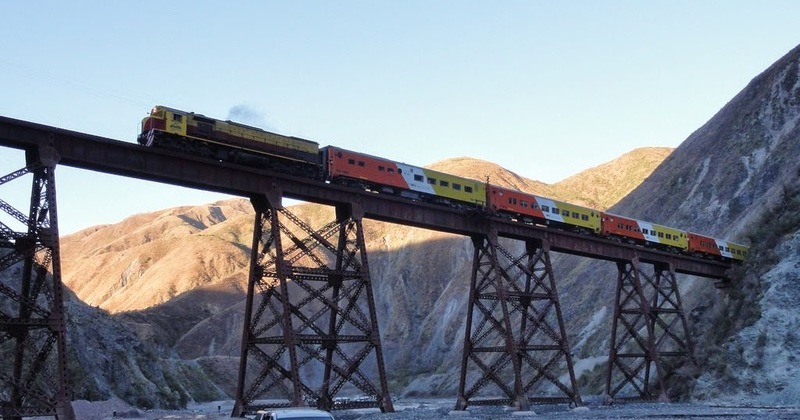 Train to clouds is one of the highest railways in the world. 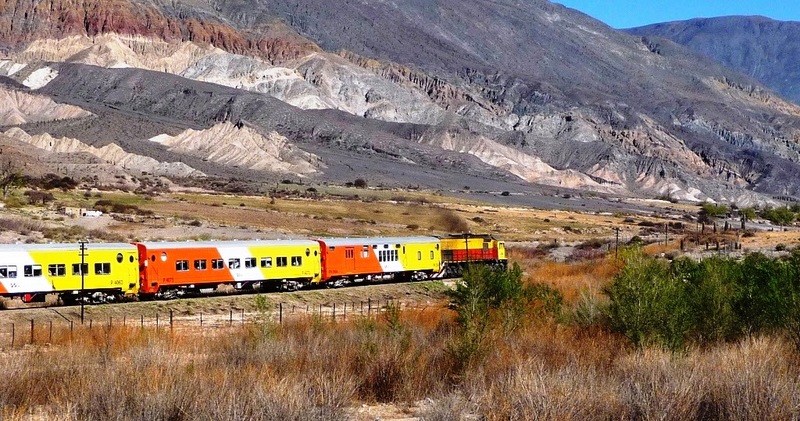 The journey is calculated approximately 16 hour’s trip, and train travels 217 Kilometers and climbs a staggering 3,000 meters. The beautiful journey of train crosses 29 bridges, 12 viaducts, 21 tunnels, swoops round two massive loops and two switchbacks. 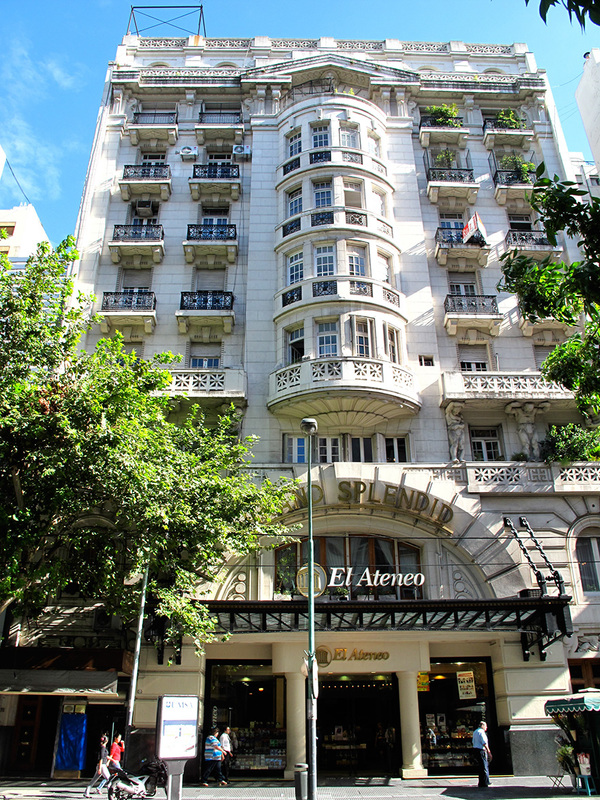 In its way, it crosses a road that takes to the clouds, with plenty of time to relish very different and changing an unforgettable cultural and landscaping experience. American engineer Richard Fontaine Maury laid down the route, who was actually leading the project. He designed a singular system well supported by bridges, viaducts, tunnels, spirals and zigzags. 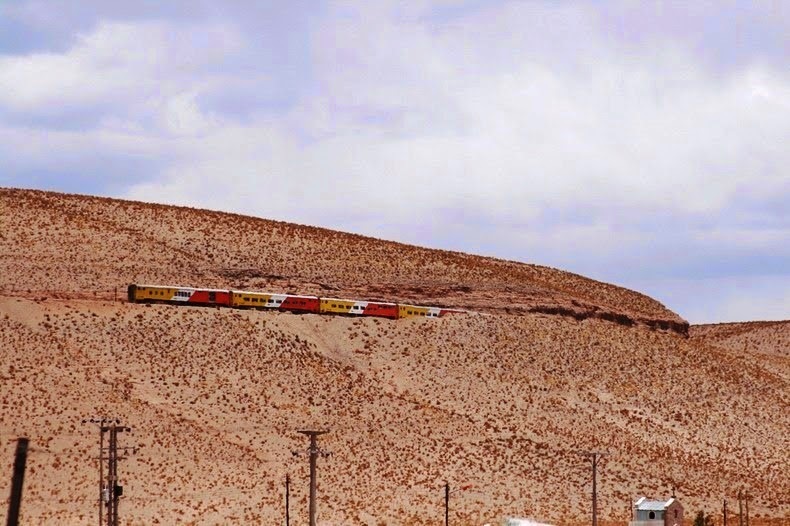 The gorgeous zigzags permit the train to climb the mountain by driving back and forth parallel to the slope of the mountain. Richard didn’t use funiculars or cogwheels that are usually used on steep slopes, in its place relying on switchbacks to gain height. 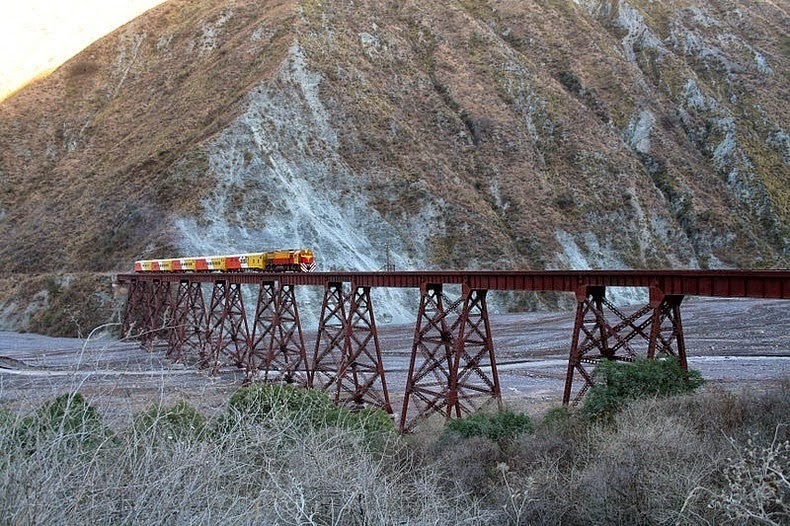 The purpose behind the construction of “Train to the Clouds” was originally to serve the borax mines of the area, mainly transporting goods from the coast of Chile through the Andes Mountains to northwestern Argentina. Trains to Clouds get noticing by tourist in 1970’s. 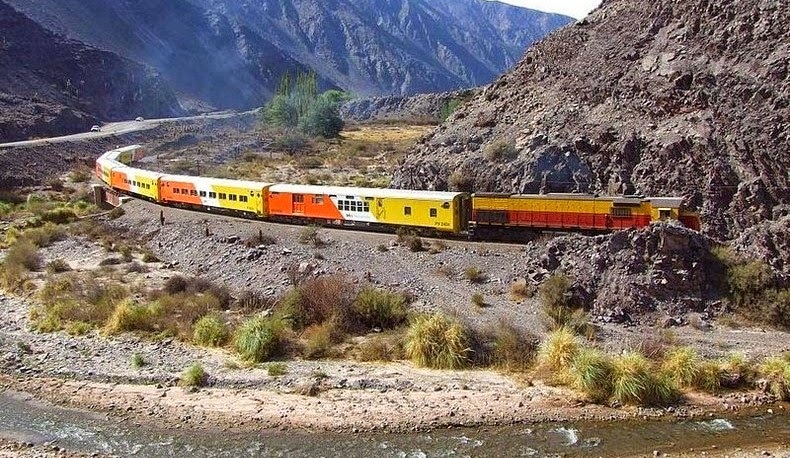 The train usually leaves early in the morning from Salta city, passes Lerma Valley, then Toro Ravine and, to end with the big territory of the Puna. The train normally takes only two stops, almost at the end of the trip. The first one is at San Antonio de los Cobres, an old town with low-built houses and a tiny market. At this place tourist can take picturesque stalls giving handicrafts, items of clothing and souvenirs to take home from the train trip. However the 2nd stop is much spectacular (The End of the Route) is the La Polvorilla viaduct. The curved viaduct is 224 meters long and 70 meters high from the valley. 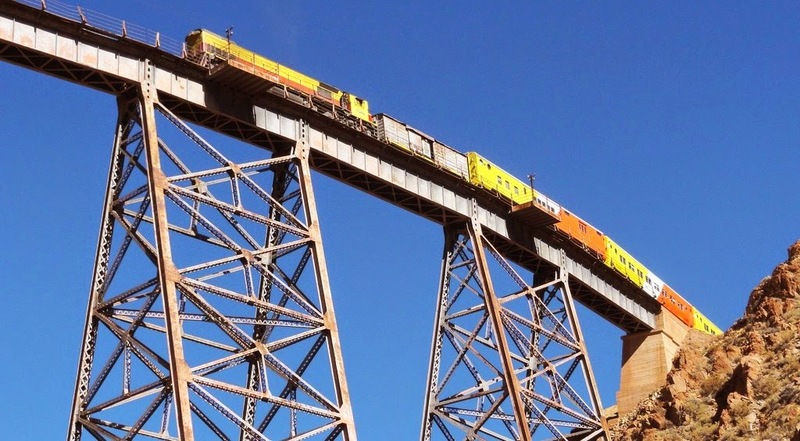 The train beautifully glides across the viaduct and stops before reversing back, poised for the return journey. Upon the final destination, travelers can get off the train, feel the pure and cold air on their faces, and walk slowly in order to get their bodies used to the altitude and take memorable pictures. 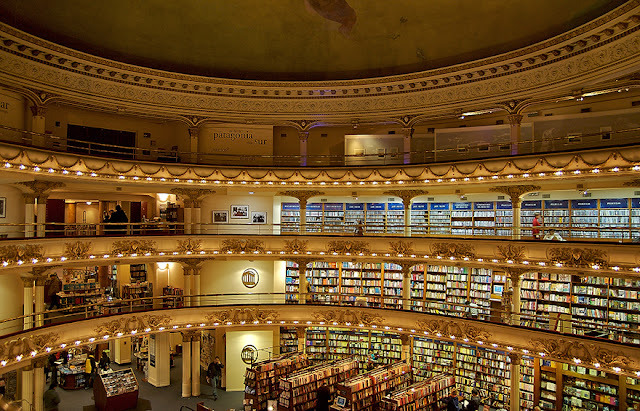 The trip back to Salta is completed in the dark and reaches Salta just before midnight. The journey takes a whole day. The train has a dinning-car, medical services, audio, video and bilingual guides. There is also the possibility of returning by bus, in which case it is possible to spend more time at San Antonio de los Cobres and pay a visit to the little village of Santa Rosa de Tastil. The whole roundtrip covers 269 miles, at an average speed of 21 miles per hour.